Having never previously owned an ‘Instamatic’ or ‘Polaroid’ type camera, i.e. one where the pictures pop out and self develop this has been an interesting experience. Putting a film in a camera seems weird even though it’s not that many years ago that I was loading 35mm film into cameras as the norm and the idea of saving images onto a small plastic object (memory Card) would have seemed very strange indeed. Film Cartridges: The camera uses the ‘Wide’ format film which can be found in the usual places .. 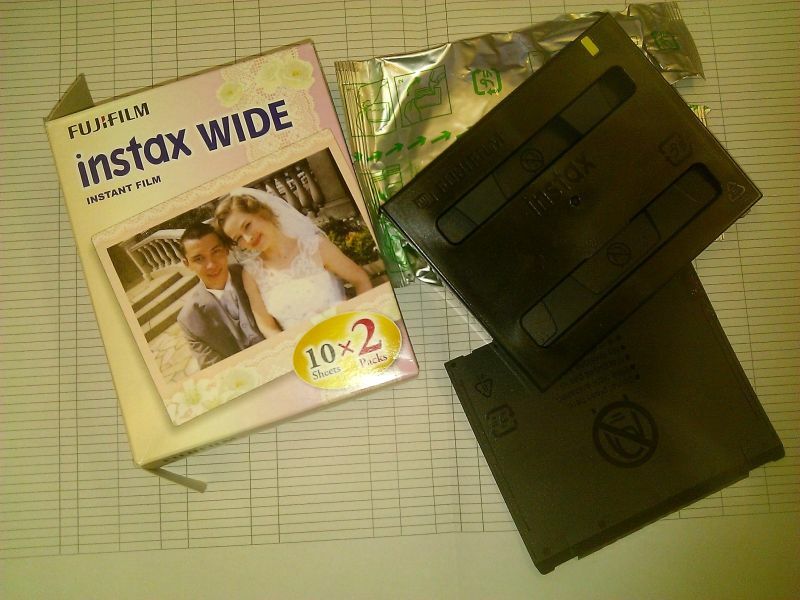 I ordered two packs from e-bay and one pack from Amazon, the e-bay packs came first @ £29,99 for two packs of film (each pack contains 2 cartridges which in turn contain 10 images each) so approx 75p per image, these are ‘Wedding’ films, i.e. they have a flowery border.. Mmmm, and is 800ISO rated. Settings: So the camera has very basic functions, i.e. a form of ‘EV Compensation’ that goes ‘Lighten –Mid Point-Darken’ and 2 x focusing modes 0.9-3m and 3m to infinity, not much to remember, and yet out in the field I kept forgetting? Developing: the images seem to take around 10mins to fully develop and seemed darker when I got home so maybe had continued to develop? Overall I’m pleased with the results and we had great fun with the camera (my youngest seems to think it’s her camera now? ), anyway … the scanned examples are on my website & my flikr pages .. more to follow ..